NOWSPAR launched its new project called Play It Forward to facilitate young women’s economic empowerment. The project is an extension of the current Goal Programme and is being funded by Comic Relief, Standard Chartered Bank (UK and Zambia) and Women Win. The project is designed to create pathways to economic empowerment for young women and adolescent girls within the sport sector. As part of the recruitment process, NOWSPAR held two information sharing meetings, on 21 and 27 September 2018, in which 52 young women attended. Speaking at the opening of the session, Ms. Mwambwa (NOWSPAR Adviser and Board Member) said “NOWSPAR is keen to ensure the support they provide meets the needs of the girls and young women. Therefore this element of the project was developed in consideration of young women’s needs for economic independence”. When asked how they felt about the project, the candidates said they were excited and felt ready to be a part of a program that would support their efforts towards economic independence. At the meetings, the young women were informed about the project and the opportunities to gain training on entrepreneurship and employability life-skills. The training includes a camp-style week-long training session, vocational training, start up grants, as well as work attachments and internships with a selection of some of NOWSPAR’s organisational partners. Later, Ms. Mayuni (Board Member and Goal School Coordinator) voiced that she was happy to see so many girls be so responsive to the new program. She encouraged them to continue being positive about their lives and their value, noting that no aspiration was too high. Sharing her own testimony of how she started out as a housemaid to support herself through High School, Ms. Mayuni expressed that she hoped that having the young women see her stand before them as a degree holder would be the driving force to keep them working hard for everything they hope to achieve. Also in attendance were NOWSPAR Board Member Ms. Carol Chiyassa, and representatives of Asikana Network, a local organisation who offer ICT training to young women in Zambia. The Play It Forward program is currently reviewing candidate applications, with the training workshop expected to begin in November 2018. NOWSPAR is thrilled to be a part of opening new avenues for girls and women in sport to empower themselves and transform their lives and communities for the better. We had a great time with over 170 girls and young women at a sports day in Nyawa Village in Kazungula District of Southern Province. Together with Response Network, a community facilitation organisation, our Goal Leaders ran sport based awareness sessions with participants aged from 10 – 22 years old. The event focused on play and some sports activities within the framework of Goal Programme. The girls played games used to facilitate discussions on health, hygiene, and financial literacy. Some discussions included reflections on day to day life that make up the local culture and how this makes it possible or not for girls to participate in sport. The girls had fun and learnt some new information and fun games. It was equally a great experience for the organisations and the facilitators to work with the girls and communities in Nyawa, which is different from the urban communities we often work in. An important issue that was made apparent to us was that there are few sports programmes and activities available in many areas of Kazungula. For example, most the girls had to walk distances of about 10km from the neighbouring villages to reach Nyawa Village Football Field where the event was hosted. One of the participants said they “look forward to such programs being introduced in other villages because it’s of great importance that young girls see the value of education and how sport can be used to learn”. 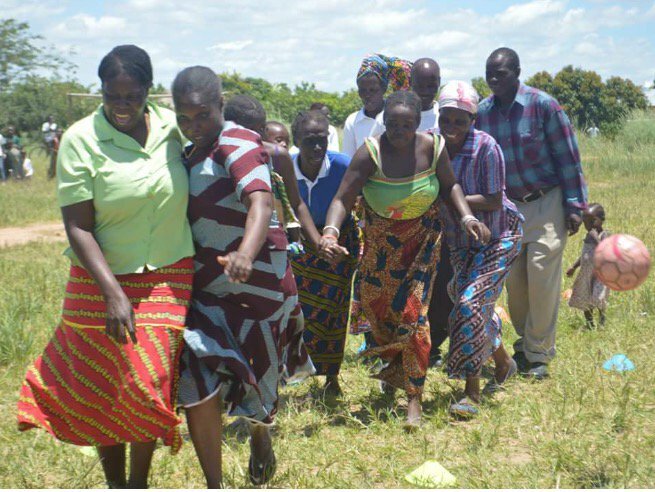 Organisations such as Response Network focus on supporting local residents in the villages to learn to run sport activities and clubs so they can have activities locally. Having sports events and facilities within a short distance of residences is important as it then makes it easier to fit play and sport into the day to day activities of girls as well as minimise safety concerns. 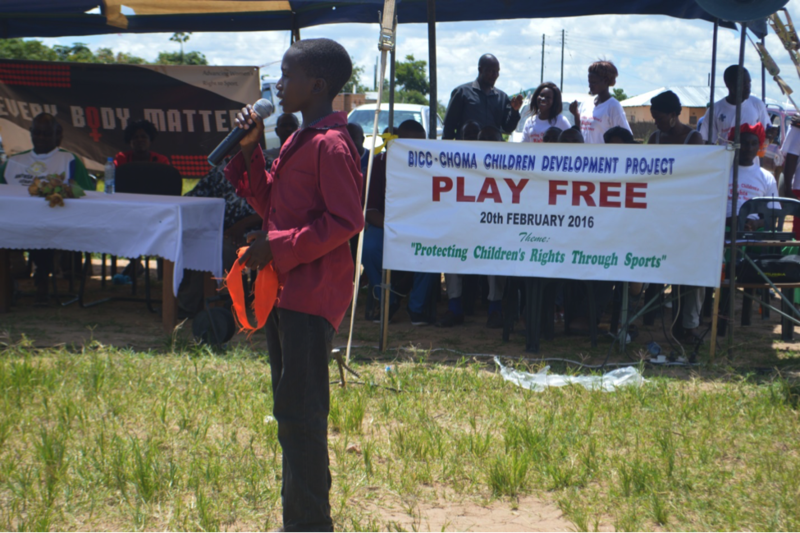 NOWSPAR continues to cooperate with Response Network through programmes including the Youth Sport Exchange Programme as well as mutual sharing on practices in sport for development in Zambia.